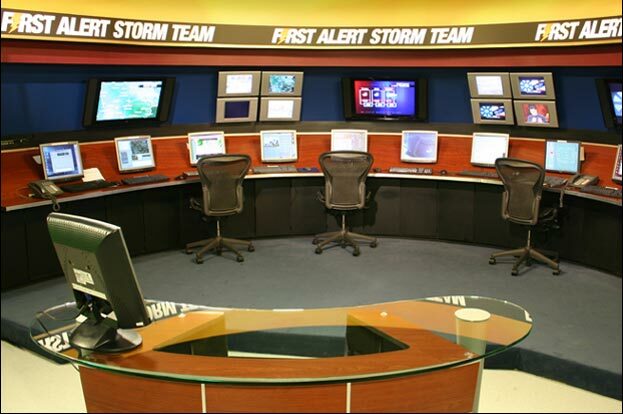 WeatherLink is a visually dramatic working weather center that showcases your talent and your weather production gear. Designed to place your weather anchor in a command position, out in front of the weather set. Link it up with one of our movable news desks and on big weather days you can shoot your newscast directly into your WeatherLink set. How’s that for creating weather dominance in your market?